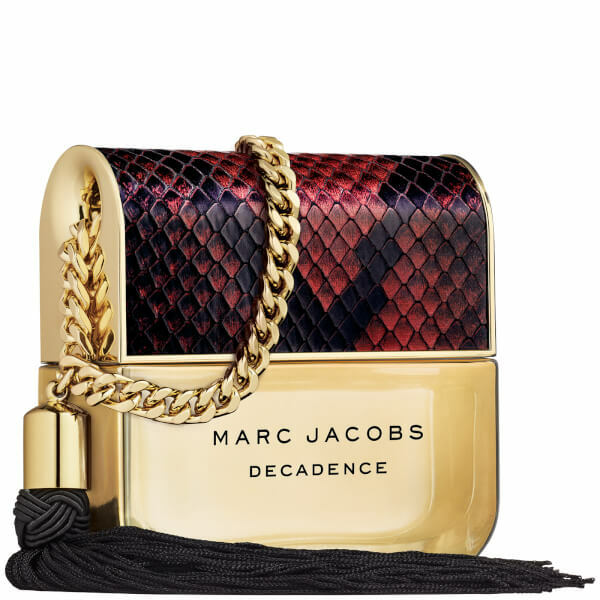 Indulge your senses with the Marc Jacobs Decadence Rouge Noir Eau de Parfum, a luxurious woody perfume powered by rich fruits and floral accords. Opening with a burst of Italian Plum and Saffron, the sensual cocktail delves into a romantic heart of Bulgarian Rose and Jasmine before settling on a velvety base of Liquid Amber, Vetiver and Papyrus Woods. Enjoy a feminine, glamorous olfactory experience. Housed in a limited edition, handbag-shaped flacon. Apply to pulse points, such as the wrists and behind the ears.